Additional Info: Anthony Mark LaMort, a native of Queens, NY, currently serves as pastor of the fledgling Reconciliation Christian Church in Orange, NJ and as Minister of Music for the Zion Evangelical Lutheran Church in Maywood, NJ. 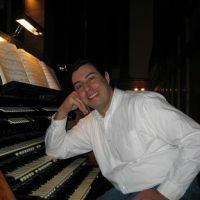 A professional organist and choir director since his early teenage years, LaMort has attended programs at the Mannes College of Music, the Manhattan School of Music, the music schools of the University of Michigan and the University of Iowa. He counts among his musical mentors such luminaries of the organ world as Leonard Raver, Paul Martin Maki, and McNeil Robinson, among others. All of LaMort's music making is firmly entrenched in the philosophy that to be relevant, all human creativity must first give honor to the Prime Creative Force of all Creation, and then strive to present spiritual truth as it is understood by the artist. As such, Mr. LaMort has gradually been defining a personal policy and practice of 'Music as NON-PRODUCT'. To that end, LaMort stopped selling compact disks in 2009 and is willfully moving towards becoming a 'NON-PROFESSIONAL' that is to say he is moving towards a manner of life where the music he creates is never for sale and is never offered in exchange for money. Active in chamber music, choral direction, composition and in Jazz, Mr. LaMort also plays the harpsichord, the xylophone, vibraphone, and a variety of early string and wind instruments. Mr. LaMort has performed recitals at St. Patrick’s Cathedral, St. Peter’s Church at the Citicorp Center, and other NYC venues, as well as in New England, the southeast and Midwestern United States.